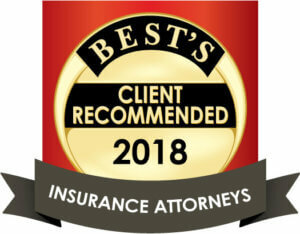 For more than a decade, Nathan Childs has concentrated his practice on the defense of insurance companies, businesses, and professionals in complex civil litigation and administrative disputes. An accomplished trial attorney, Nathan has appeared in many of North Carolina’s 100 civil superior courts, all three federal district courts located in the Old North State, and the United States Court of Appeals for the Fourth Circuit. Nathan represents a broad array of commercial and insurer clients, with a special emphasis on the defense and representation of insurers and healthcare providers, including personal injury and wrongful death claims; claims relating to employment, ERISA and employee benefits; noncompete agreements and business litigation; premises accidents and product liability; insurance coverage disputes; regulatory compliance; and construction litigation. 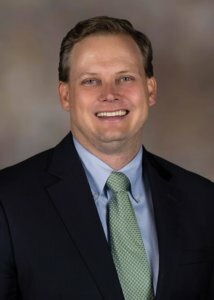 Nathan graduated from the University of North Carolina at Chapel Hill in 1995 and later attended Wake Forest University School of Law, where he was selected to be editor-in-chief of the Wake Forest Intellectual Property Law Journal and a member of the school’s trial advocacy team. Prior to attending law school, Nathan covered Congress, federal agencies and the Supreme Court as a healthcare reporter for several national newspapers and magazines. He went on to serve as Director of Legislative Affairs for the American Health Care Association, representing more than 12,000 assisted living facilities, nursing facilities and subacute care providers before federal legislators and regulators. After graduating from Wake Forest, Nathan practiced with the business and commercial litigation section of a Winston-Salem-based law firm and the health law section of Young Moore & Henderson, P.A. in Raleigh before joining Midkiff, Muncie & Ross, P.C. in September 2017. Nathan is a frequent speaker on litigation and regulatory topics, most recently addressing the North Chapter of the American Society for Healthcare Risk Management regarding the implications of the nation’s shift to value-based reimbursement and public reporting of quality indicators to medical malpractice and personal injury litigation. A “Jeopardy” champion and basketball nut, Nathan shares his passion for history, music, fishing, scuba diving, and Tar Heel athletics with his wife Kelly, and son, Sam.